Forgive me my kindest God. At least you could try. You love me or not. From this sweet pain make me free. Of my smile and glee. What I want , what my heart pray . You think life is only to cherish. I’m now a girl brave. Its made only for few. In my life, what was your role? Let my soul rest in peace! You are a good heart unless. The idea to me little doubtful. To call me a fool. Where the things mingle with lie. Seems to me so good! 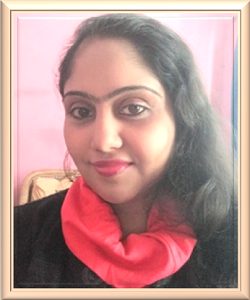 SUMANA BHATTACHARJEE is a bilingual poetry writer from India. She is born and brought up in city Kolkata in a family of teachers. From her childhood she has a keen interest in music, poetry and drama. She is the author of "Eternal Thought" and her poem have been published in various national and international anthologies, magazines and blogs . Liked the poems as they somewhat reflect my own sentiments.